Can stick together,’ says Pooh, says he. ‘That’s how it is,’ says Pooh, says he. ‘That’s how it is,’ says Pooh. Although this was written in 2014 we have chosen these years for reasons which will be clear from the article. Pooh is right. It is much more fun when there are two, and, as Pooh further points out – mutual support is an additional bonus. Since 1973 civil celebrants have established dignity in personalised marriage ceremonies. From the same time period, the Australian Family Law Act has injected relative dignity to the legal sealing of a relationship break-up. If you disagree with my propositions – you simply haven’t lived long enough. When Attorney-General Lionel Murphy battled his heart out to take the unnecessary pain and expense out of fault-and-blame divorce laws, and set in train a system to bring dignity and meaning into marriage ceremonies, I, for one, knew that, sooner or later, the good effects must become apparent. Australia is unique in all the world. Except for New Zealand, who followed the Murphy principles in some ways better than we did, the Australian Civil Celebrant has injected something special and unique into the Australian cultural scene. There would be few who would disagree that in the 1960s and 70s many marriages in the Christian churches were inherently dishonest, and most marriages in the Registry Offices were a humiliation. Those who did marry were mainly driven by convention, very few by the personal conviction that they needed a solemn ceremonial commitment. The institution of marriage was seen by leading feminists, for example, as a state in itself oppressive to women. Those young women who didn’t go that far, saw themselves as choosing between a marriage ceremony, where the male was clearly spiritually superior (and they were inferior), or a civil marriage in a Registry Office. The latter would take place before a poker-faced official – the legal words lasting, at the most, a minute. These “marriage ceremonies” took place on weekdays only, with only two witnesses allowed. Most saw this as an event no even partially sensitive person should have to face. As a corollary to this, divorce laws were obscenely expensive and totally legally dishonest. Lionel Murphy, acting almost alone, did away with all this. He gathered around himself a group of people, among which I proudly number myself, whom he asked to bring dignity, meaning and culture back into the non-church marriage ceremony. To those few who understood his visionary explanation, it was alarming and radical. What? Couples designing their own ceremony? What? Couples choosing their own place and time? What? Couples choosing their own celebrant? No, no, Lionel! The church or the public servant decide the ceremony, the officials decide the words and the place, the common people should do as they are told — if they want to be married. Now, in 2009, we are all familiar with the repercussions of those dishonest and humiliating marriage ceremonies. I doubt if there is any country in the world where people live together in de facto relationships to the extent we do in Australia. Not quite noticing that the scene had began to improve, and as time went on, these de facto couples demanded that that they be treated the equal of people who had been through a ceremony. The politicians acquiesced. The Democratic clamour of the people had to be recognised. What was a marriage ceremony anyway ? Just some froth and bubble — some mumbo-jumbo — a few words that entitled you to a piece of paper! In contrast, followers of the Lionel Murphy vision believed that ceremonies are a valuable means of deep psychological orientation — and we should have them all the time – for every milestone in life. They are an essential means of personally serious and public communication. The “Sorry Ceremony” last year was a class example. The word “Sorry” in a ceremonial context changed people’s lives, reduced them to weeping, recognised and released pent up years of pain, and validated interior screaming. But the “Sorry Ceremony” was contentious. “Mere words” said one group. “Only actions mean something”. The philosopher rose up and said, “but words are actions”. And then, last year, Barack Obama was made President of the United States. If he hadn’t had a ceremony, he would still be President of the United States. So why did he have one? What difference did it make? But he did have a ceremony — thousands gathered in Washington DC from around the world. Millions watched the ceremony on TV. It was a spellbinding event; it had great meaning. His choices of music and poetry and songs — his choice of speech words and vows were the “roadmap” (to use a modern concept) for his presidency. In the same way a marriage ceremony can be, and ought to be, and so often now is, a “roadmap” . It sets out a couple’s commitment to attempt to establish a fulfilling, happy and positive relationship. With the assistance of a civil celebrant who “gets it” the couple can make a compact. They can exchange vows which abjure contempt, renounce stonewalling, modify defensiveness, and envelop criticism in kindness. Couples can declare equality, honesty and open communication. They can promise to express love, re-assurance, and support. They can (as Bettina Arndt proposes they do) seriously commit to maintaining a life of intimacy at every level. Marriages up, divorces down, the ghost of Lionel Murphy will be smiling. Editors Note: In 2003 the Civil Marriage Celebrant program was seriously downgraded. In blunt terms the government passed the administration into the hands of a public servant (The Registrar). They have since appointed 10,500 celebrants when 2000 would have been more than enough for Australia – with predictable results and a deterioratiing marriage/divorce scene. Is the founder of the Civil Celebrant Program. Most celebrants – especially the excessive numbers since the tragic downgrading of 2003 – have never heard of him – or his ideals of professionalism and quality. 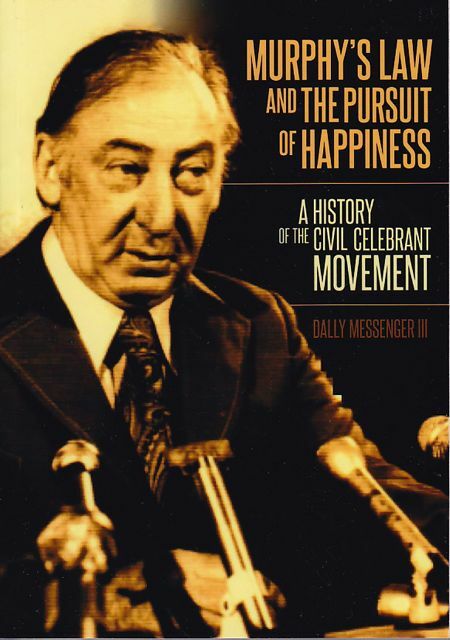 What should happen – Lionel Murphy and his work should be known and honoured. Those who drink the water, should remember those who dug the well. His achievements should be the subject of a three hour OPD (at least). No unaccountable officer or even an accountable officer should have the power to destroy people’s lives by making such a decision about a person, or branding a person in such a way. In the Age of the Internet this tag of not “fit and proper” on a person’s reputation is like a criminal record. Used in a cavalier way by a public servant, I have seen it almost destroy one person’s life. The decision about this celebrant is still on the internet! What should happen – Applications to become a celebrant should simply be accepted or rejected without such branding. Reasons should be given for such a rejection and an appeal process, which an ordinary person can afford, should be part of the process. Better still, as has often been proposed, a balanced committee should decide how many celebrants are needed to provide a balance in a natural geographical area. Would be celebrants should apply, be shortlisted in the usual manner by an independent person, and the best applicants should be chosen. Take the police – as I write this there are 61 police officers with charges against them in Victoria. In other words, people who have legal powers, as individuals, should be accountable. The police have the OPI – Office of Police Integrity – to check on the abuse of power – the public service has no one to check on them. (The ombudsman and the AAP have in a very restricted number of cases. The ombudsman only intervenes if it is in the previous 12 months, and the AAP is very expensive (legal representation). It is no use complaining to the Minister because the letter usually goes straight through to the public servant one is complaining about ! So where can the celebrant or citizen turn for redress when such power is abused? To declare a person, not “fit and proper” should not be allowed except under the signature of the Minister and then in only very serious circumstances. – -no action was ever taken ! Ms Ingleton is still on the internet as being accused. Couples had a choice approved by the Department. This was taken away for no reason, and a cumbersome ineffective recording of numbered certificates was put in place – a system which is not working and could not possibly work – and which leads nowhere and does nothing. It is operates more in the breach than the observance (especially by my clergy friends). It is counter-productive in that gives a veneer of security when the opposite is the case. What should happen – Choice of certificates should be restored to the parties to a marriage. Publishers of certificates should have them checked and approved – and be adequately supervised and workable safeguards and warnings. If authenticity is needed to be checked details of how to do so (including the celebrant’s contact details) could be printed on the back of the certificate. We were titled Civil Marriage Celebrants from the beginning. We are now mixed up on government lists with fringe clergy who are now mingled with us on statistical reports and for OPD – Ongoing Professional Development. This was done by stealth. Also done by stealth were the appointments of some persons who have been authorised as Civil Celebrants AND clergy – thus confusing the public. Clergy do not want it and neither do celebrants. What should happen – The title “Civil Marriage Celebrants” should be re-applied and for good measure should be enshrined in law. Clergy should be clearly classified as clergy. For over thirty years separate statistics were compiled by Australian Bureau of Statistics (ABS) for the main religions, in general for the smaller religions, the Registry Office, and independent civil celebrants. This was all done away with when in the Downgrading of 2003 smaller religions, the registry office, and independent celebrants were all jumbled together statistically. The old statistics were very useful and told us a lot about our society. What should happen – Statistics for Registry Office Marriages, Civil Celebrant Marriages, and church marriages should be kept separate for all number of good reasons. No acceptable certificate by the government to Celebrants is issued, which a celebrant could put on display to reassure clients that we have been appointed. The certificate issued last year was bureaucratic humiliation. What should happen – We should receive a carefully designed certificate Lionel Murphy issued a personally certificate to the early celebrants which instilled pride. Phillip Ruddock, I believe, wanted to do so but fell victim to the bureaucracy who gave an insulting one for him to sign. Celebrants are the only government office not welcomed by a ceremony! All appointments of government have ceremony, citizens have a ceremony, JPs have a ceremony but civil celebrants (and indirectly the institution of marriage), are not to be honoured in any way. Why? Because in the eyes of those who have humiliated, intimidated and mismanaged us we are not worthy\. What should happen – Ceremony providers, of all people, should have ceremony to honour their appointment. It should be of such substance as to be a life long inspiration. – Government appointments, by their very nature, have a certain dignity. What should happen – The office should be respected. Those who have achieved and eminence in the profession should be honoured. This office has been completely trivialised and treated with disdain. Over competitions and excessive appointments. Excessive, bitter and degrading competition, characterised by tabloid style marketing and false advertising have become commonplace among and have trivialised the office. The Code of Practice should be strengthened in these areas and leadership from the top must encourage dignified behaviour. Performance reviews should cover marketing and advertising practices. Those who have completed dodgy, shonky courses should be re-trained by trainers of reputation.